Switch pitch(s.p.) transmissions were availabe from 1965-7 in the full size BOP cars. Even some Cadillacs have the s.p. transmissions. 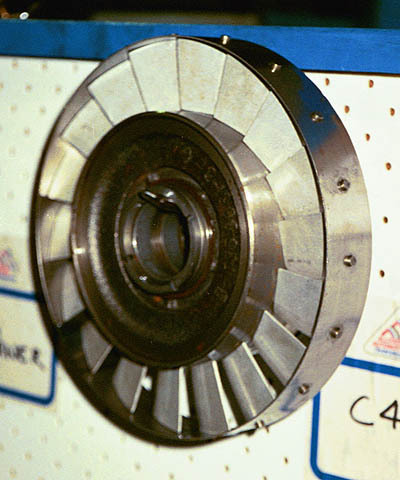 The name switch pitch comes from the vanes in the torque converter being able to change their angle (pitch) in order to reduce friction(force) and get the vehicle moving. This would be similar to somebody trying to start pedaling a ten speed in 10th gear versus 1st or 2nd gear. These transmissions were used in the full size cars since the engines did not make a lot of torque and they were quite heavy. There are s/p TH400 and s/p TH300 transmissions. 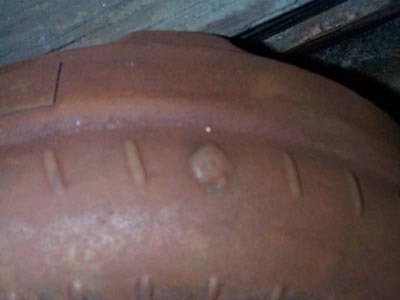 The s/p 300 were found in 1964-7 and were two speeds. The s/p 300 converters are 12 inch while the s/p 400 are 13 inch. For instance, I pulled a s.p. TH400 and 430 engine from a 1967 Electra 225. When I took the car to the salvage yard, it still weighed in at 3600 lbs. With complete motor and trans, figure close to 5000 lbs. The easiest way to identify the s.p. is by looking at the trans. pan. On the TH400, you will see 3 dimples and a shoe heel impression. The s.p. is also found in the ST300 trans. but are not common. 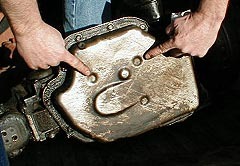 The shoe heel impression is where the filter picks up fluid and the pickup is shaped just like a shoe heel (see photo below). If you need a filter, use WIX 51879 or a cross referenced one. Here is a side view of the trans electrical plug. 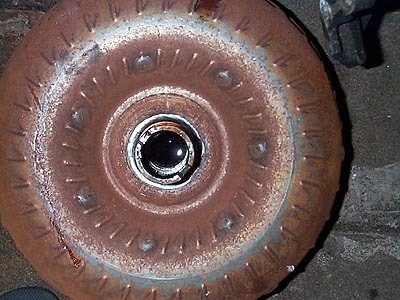 This is from the 67 LeSabre. Notice there are two contacts. The top tang is for the switch pitch....when +12V is on...it changes to high stall and no voltage the converter remains in low stall. 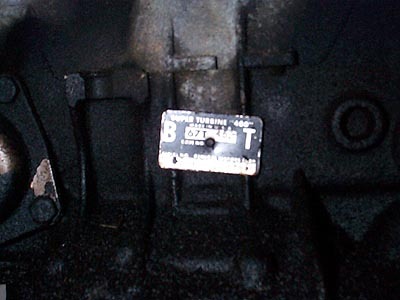 Bottom tang is for the downshift which goes thru the switch mounted on the gas pedal retainer. Here is the trans ID tag on the pass. side. Also note that 65 and 66 will only bolt up to Nailheads. SP400 were only made from 65-67. Also you will need to get a newer tail housing because the SP400 housing will not accept newer drive shaft yolks (larger diameter). Factory info courtesy of member,Steve David. This is one of the welds on the outer perimeter of the s/p conv. Notice all the spot welds around the s/p conv. hub. 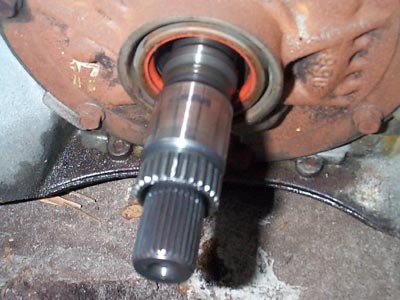 This is the input shaft of the s/p 400 from the 67 LeSabre. Here is the switch pitch internals. switch for the S/P trans. 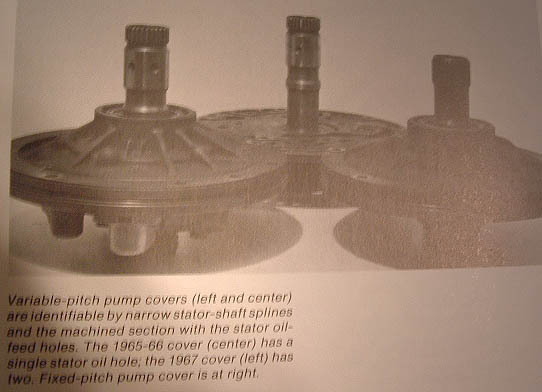 Here is a pic of the factory pumps used in SP trans. 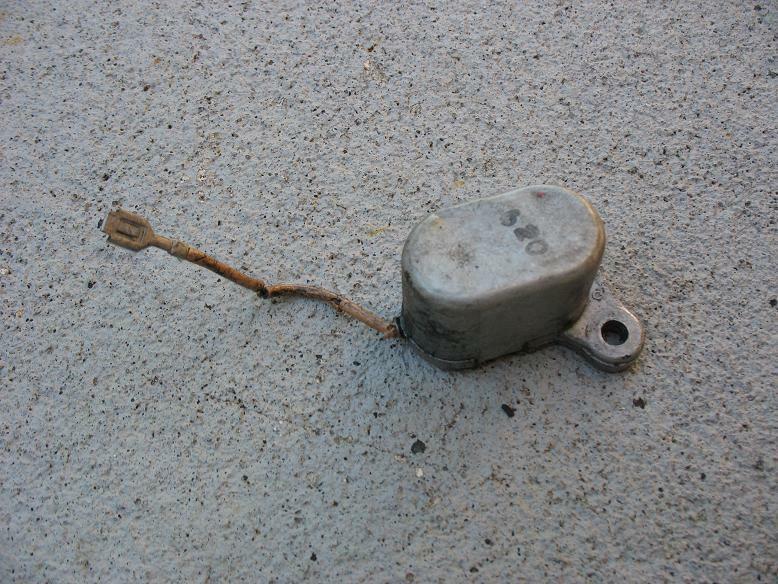 Here is the solenoid that is connected to the backside of the top tang. 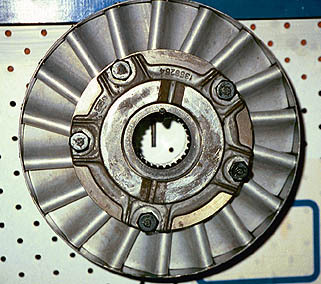 The converter changed stall speeds from 1800 rpm to 2600-2800 rpm. You can interchange the converters. 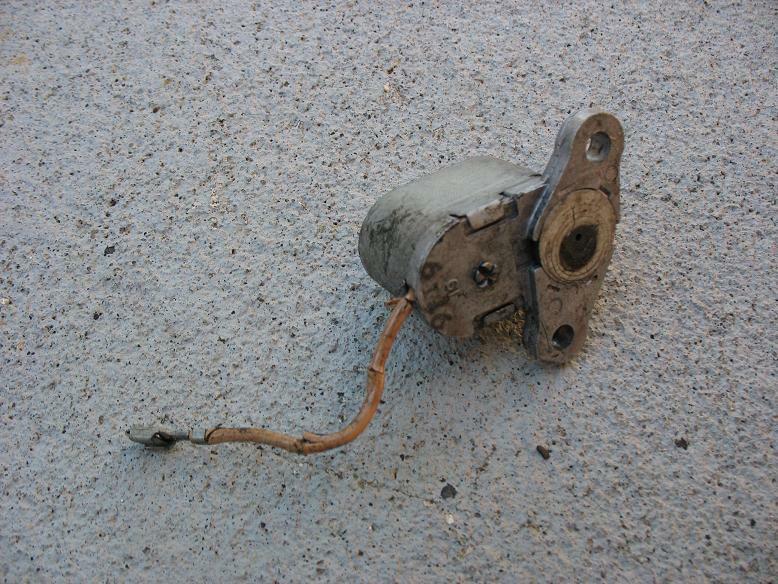 You will also see a switch on the throttle linkage near the carb where the throttle position will dictate the change in the two stall speeds via an electrical solenoid located inside the trans. Most people will remove the entire harness from the donor car and then use a toggle switch mounted on the dash to activate the s.p. converter. The 1967 Electra 225, I pulled my s.p. 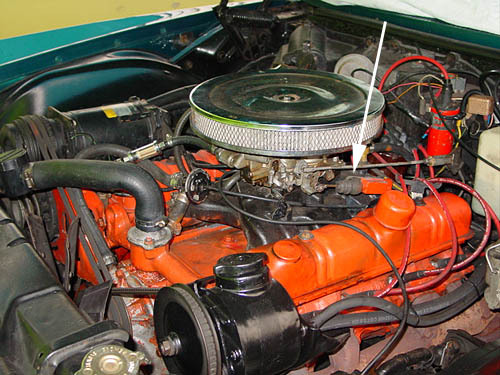 from had a short shaft TH400 but most of the time the full size BOP cars will have the longshaft transmissions which is not desirable in the 1968-72 GM A-bodies. The best bet is to remove the entire trans. and then convert a shortshaft TH400 to the s.p. converter. All 1973-77 Pontiac Grand Prix cars have shortshaft TH400 and are quite common. If you know how to change the non-s.p. trans over, you can pull the pump, switch and solenoid out of the longshaft s.p. trans and then install it into the non-s.p. trans. That way you won't have to buy two transmissions from the salvage yard. When changing over a non-s/p to s/p, you must transfer oriface plug behind the pump or the system will not work. If you can't remove the old plug, you can make a new one from the end of the old style glass fuses. Break the glass, clean out the end with a soldering iron to remove the old fuse solder then drill a 0.028" hole in the center of the cap. This hole size is critical. You can also buy a new plug from GM, part 8611710, for $10.50. Aftermarket converters are still available and several companies can make a converter to order. Please see our Buick vendors page for additional info. 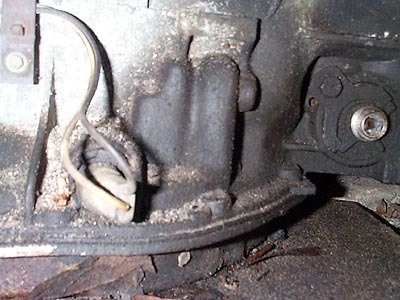 Some additional info from that 1967 Electra 225 is the 430 had a center sump oil pan since it has an "X" frame. This center sump engine will not work in 1968-72 Skylarks since it will not clear the frame. 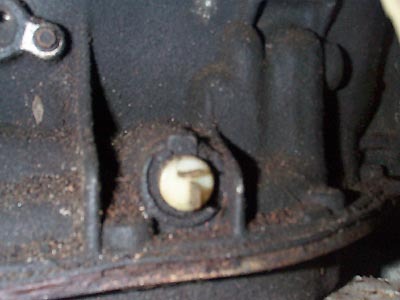 You will need to find a rear sump BB(big block) from 1970-76 Electras, LeSabres and get the oil pan and pickup tube. The s.p. trans. bolts up just like the non-s.p. trans. If you have any questions, please e-mail. Good Luck! I saw in your article about switch pitches that only the 65/66 400t only fit nailheads. They also made the 64 fit too, but was a 6 month only trans. I found out that in late 65, they made the BOP design, so if you want a good t400, it must be from a 64 late or a 65 late trans only. Otherwise, the 64 has the 64 only case, and the 66 is a bop designed bellhousing. Also, the t400 will fit in the 61-65 late nailheads IF you can find the flexplate from a 64-66 nailhead. All you have to do it grind about 1/16th of an inch from the inside of the flexplate, and it will bolt right up to any year nailhead from 61-66. Especially the 63 and older that had the Dynaflow. I did all this to my 62 buick. I went from 9 mpg to 26 with a 401 bored .040 over, factory 2x4 manifold with 2-4bbl carbs. She ran great and never ran better.